Let your guests write their personal messages in your gold glitter guest book using a pen set from the same Golden Elegance collection! Our Golden Elegance Collection offers this beautiful pen set to match the Golden Elegance guest book, creating a stunning effect at your event reception table. 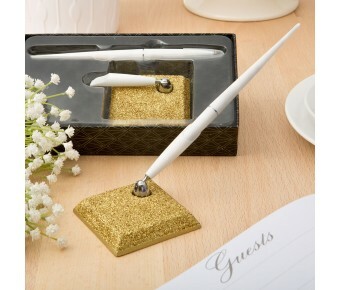 The pen set has a sturdy base made from poly resin and painted with a gold glitter finish. The pen is made from white plastic and features a slim elegant shape. The pen fits into a matching white plastic pen holder that is inserted into a silver metal swivel stand on the base. 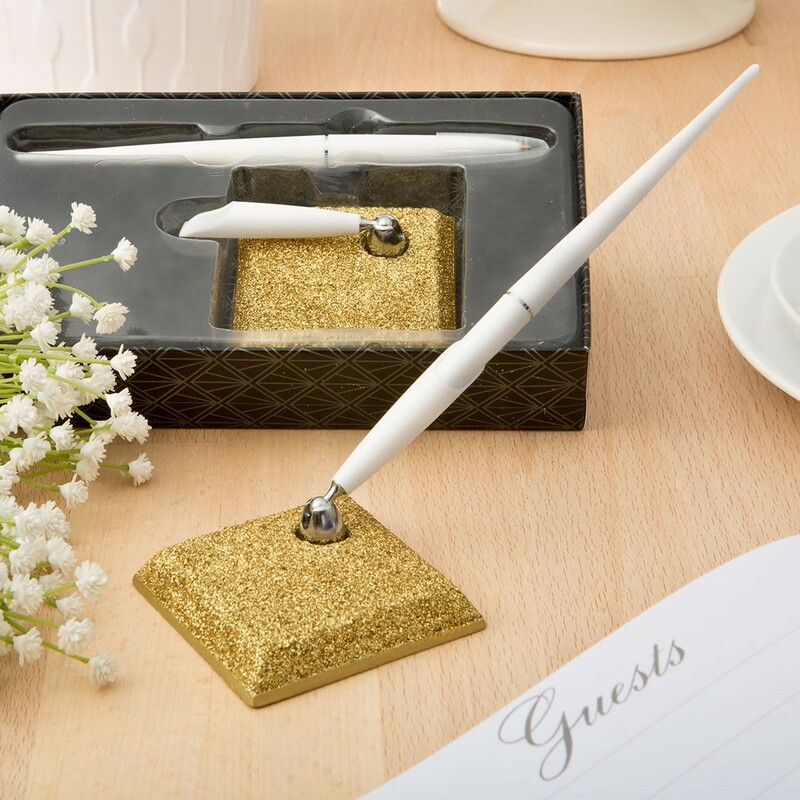 Your guests will be charmed to use this stunning pen to write a heartfelt message in your guest book. 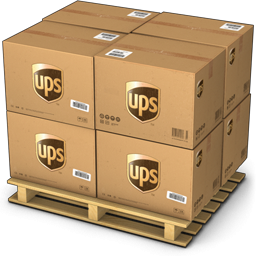 When your event is over, they can take the pen set home as a unique favor. Size is 2 1/2" x 2 1/2" x 7 1/2"
Let your guests offer their creative messages in style when they use this glorious pen set!